The mosaics in Julie Sperling’s “Fiddling while Rome burns” series each tackle a different trend or concept, from rising temperatures to changing precipitation trends to the difference between weather and climate. Her artistic statement has the flair to persuade literal as well as global warnings to the heaps, improving an individual’s sense of commitment in the communal sense. The artist has been recently engaged in an ongoing series about climate change, titled Fiddling While Rome Burns. 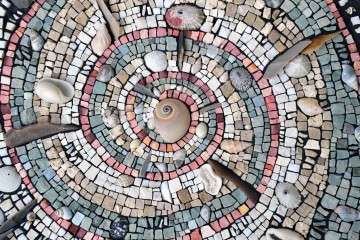 Her mosaics tackle specific climate-correlated concepts, impact or solution. Her concepts usually embark upon scientific, literary and political matters. 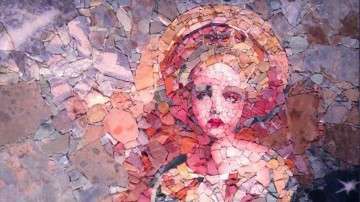 There’s a different apparition for each of her mosaic patterns.Hence, she conveys her ideas and messages using a huge variety of mediums, each one carefully selected to create unique and theoretical patterns. While she does her best in her personal life, at work she often feels like her hands are tied. Such is the reality of being a small gear in the greater engine of federal bureaucracy. As reported by Sperling, mosaic is a powerful medium to converse climate change, not only because of its germaneness, but also the manifested analogous between the art form and global climate change. Both require a lot of endurance through the gradual processes, but each one depends on the power of the cluster. Pieces of stones and glass come together to create images with an assemblage of pieces, accordingly our actions add up and make a difference in the fight against climate change. This season’s color palette is reverence to intense hues, transcending all regional and ornamental standards. Intense shades give way to enthusiasm, cheerfulness and zeal, where serene permanence also prevails in 2016’s palette. Want to get started on your 2016 home design inspiration? Curious about the latest trends of colors, aren’t you ? Wondering which colors will dominate decor in the coming year? In this article I’ll help you discover the latest trends of colors and color combos, and how to make your year sparkle, with concentrated yet unruffled hues! You will also have a seasonal color forecast to paint your season in throughout the year, reflecting a landscape of hope in the months to come! Today I’m not going to show you how to make a stone art mosaic with step-by-step instructions. A simple search can do this for you. 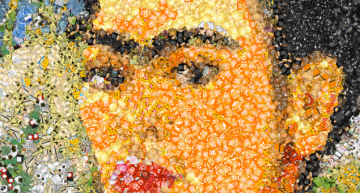 In this article I intend to illustrate a swift summary on free tools to help you transform your images and patterns, into mosaic designs and patterns. At the end of the day, most mosaic designers are self-taught, and technology today is helping us take more control over our own culture. Ever since I noticed the load of information about mosaic art, I thought of comparing it to the worldwide mosaic community. Although I couldn’t find plenty and I actually knew that our community is very small, but I noticed a passionate extroversion, and fervor to spread the knowledge and love of mosaic around the globe! This season’s color palette is an homage to the hues of Holidays, an inspiration from the bright poinsettia, sifting the last rays of the year! Inspired to add a festive holiday cheer to your home, aren’t you? 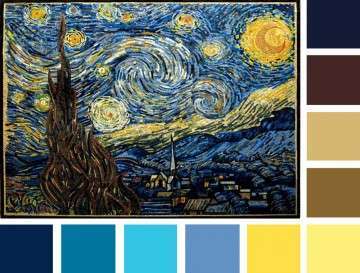 Curious about the latest trends of colors? In this article I’ll help you discover this season’s Christmas-inspired hues, and how to make your season sparkle! You will also discover how these colors will invite a warm scenery to your snowy environment! Pietra Dura is a mosaic art practice that developed by Ancient Romans, Opus Sec-tile technique. The Pietra Dura technique became popular amongst mosaic designers, since it flourished in Florence in the late 16th and 17th centuries. The technique involved a style of vastly illusionistic illustrations, using cut-to-shape colorful tiles of hard stone. 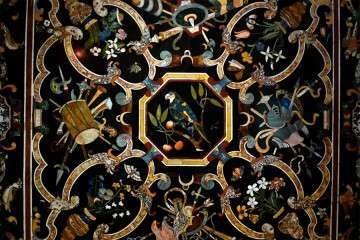 The term Pietra Dura signifies the vital hardness and resilience of the material used for this work. The most common stones used in Pietra Dura Mosaics are the stones with high mohs scale of mineral hardness. 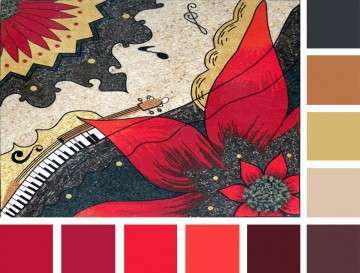 Quartz, chalcedony, agate, jasper, granite, porphyry, and petrified woods are frequently used in Pietra Dura mosaics. These stones vary and endow with an almost boundless range of colors.